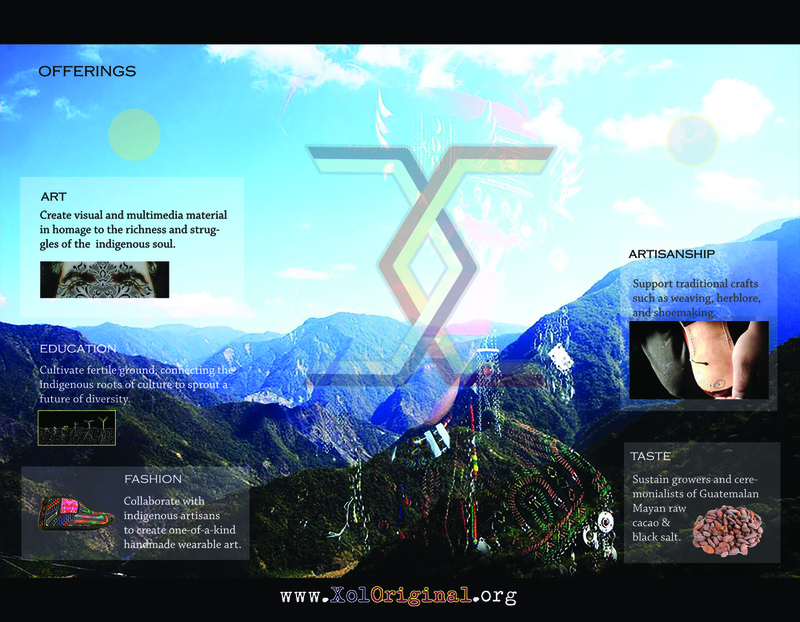 Xol Original safeguards indigenous traditions in two main ways: through improving the economic independence and quality of life of skilled indigenous artisans, artists, musicians, farmers, calendar-keepers, and other holders of traditional ecological knowledge (particularly among indigenous women and youth - often the most marginalized members of societies); and raising public awareness and appreciation for indigenous cultural traditions and the need for safeguarding those traditions. We create original works of wearable art through active design collaboration with indigenous artisans throughout the world. A major underlying tenet of design collaboration with artisans is to use recycled or reclaimed materials. We provide materials, tools, equipment and access to educational or career advancement opportunities to artisans. Look for the expanding Xol Original Traveling Indigenous Arts and Fashion Exhibit to learn about and experience aspects of indigenous cultural traditions. The bulk of our work is funded by our members, whom we call Kin. Support Indigenous Traditions in danger of disappearing around the world. Mayan women working on their backstrap looms near Nebaj, K'iche, Guatemala in 2013. Background Photo: courtesy of Dresdres Kazangiljan (Paiwan tribe of Pingtung County, southern Taiwan), 2015.